NEW YORK/TORONTO (Oct. 24, 2013) – The National Hockey League and HBO Sports are joining forces for a third season on the groundbreaking series ‘24/7’ featuring two NHL Original Six™ rivals, the Detroit Red Wings and Toronto Maple Leafs, as they prepare to meet at the 2014 Bridgestone NHL Winter Classic®. For the first time, Sportsnet will give Canadians exclusive access to the groundbreaking series, which will be available in 8.5 million households. The ‘24/7’ reality franchise, which has captured 17 Sports Emmy® Awards, follows the two clubs simultaneously, chronicling their highs and lows each week while providing exclusive behind-the-scenes access, along with in-depth interviews with coaches, players and front-office personnel. 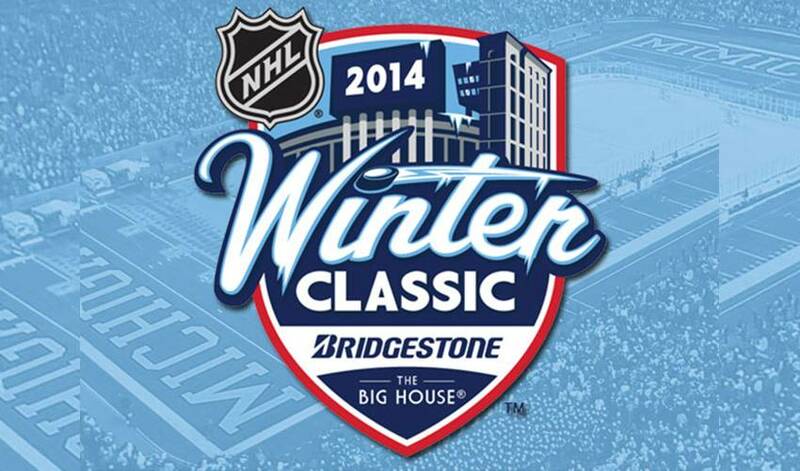 The build-up and excitement surrounding the rivalry reaches its apex when the two teams meet in the sixth edition of the 2014 Bridgestone NHL Winter Classic on Wednesday, Jan. 1 at the University of Michigan football stadium in Ann Arbor, MI. The stadium will be set for a world record crowd for hockey with more than 100,000 fans expected to attend the outdoor classic. Scott Moore, President, Broadcast, Rogers Media said, “Fans are going to see the players and coaches of these storied Original Six franchises in a way they’ve never experienced, and there is no question it will be appointment TV for viewers everywhere – this series is going to be huge.” Two members of the NHL’s Original Six, Detroit and Toronto are longtime rivals. The organizations first played each other on Jan. 4, 1927, and the teams have met seven times in the Stanley Cup® Final. As part of this year’s realignment, the Red Wings and Maple Leafs are competing in the same division for the first time since the 1997-98 season. The National Hockey League®, founded in 1917, is the second-oldest of the four major professional team sports leagues in North America. Today, the NHL® consists of 30 Member Clubs, each reflecting the League’s international makeup, with players from more than 20 countries represented on team rosters. According to a Simmons Market Research study, NHL fans are younger, more educated, more affluent, and access content through digital means more than any other sport. The NHL entertains more than 250 million fans each season in-arena and through its partners in national television (NBC Sports Network, NBC, TSN, CBC, RDS, RIS, MTG, and NHL Network™) and radio (NHL Radio™, SiriusXM Radio). Through the NHL Foundation, the League’s charitable arm, the NHL raises money and awareness for Hockey Fights Cancer™ and NHL Youth Development, and supports the charitable efforts of NHL players. For more information on the NHL, log on to NHL.com. NHL, the NHL Shield, the Stanley Cup name and the NHL Winter Classic name are registered trademarks and the word mark Original Six and NHL Winter Classic logo are trademarks of the National Hockey League. NHL and NHL team marks are the property of the NHL and its teams. © NHL 2013. All Rights Reserved. Sportsnet connects Canadian sports fans to their favourite teams and athletes, using five platforms: TV, Radio, Print, Online and Mobile. Sportsnet is Fuelled By Fans, and delivers storytelling on a local, regional, national and global level. The multiplatform brand consists of Sportsnet, sportsnet.ca, Sportsnet 590 The FAN, Sportsnet 960 The FAN, Sportsnet magazine, Sportsnet Mobile and the Hockey Central app on iPad and Playbook. Sportsnet consists of four regional channels (Sportsnet East, Ontario, West and Pacific), and the nationally-distributed Sportsnet ONE, Sportsnet World, and Sportsnet 360. Sportsnet is the Canadian leader in NHL and MLB television broadcasts and is home to 162 Toronto Blue Jays games, plus MLB Playoffs and the World Series. Sportsnet is an official cable broadcaster of the Sochi 2014 Olympic Winter Games as well as an official licensed broadcaster of the 2014 FIFA World Cup BrazilTM. It offers an exciting sports lineup including the NFL, the Memorial Cup, CIS Vanier Cup, Ultimate Fighting Championship®, Grand Slam of Curling, IZOD IndyCar Series, the Rogers Cup tennis tournament, and extensive soccer programming including Barclays Premier League, UEFA Champions League, UEFA Europa League, MLS Vancouver Whitecaps FC, CONCACAF and Canadian national team matches for men and women. Connected is the network’s nightly news program, providing regional and national coverage of the day’s events in the world of sports.